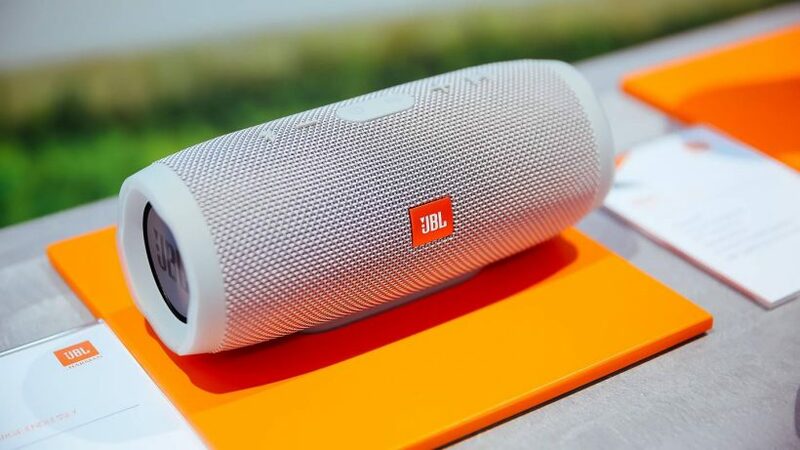 The JBL Flip 4 is a portable stereo speaker with Bluetooth connectivity that delivers loud and crystal clear sound. It is built to have improved bass response and features dual external passive radiators so that you can see and feel the low end. It is capable of connecting wirelessly to up to 2 smartphones or tablets that can take turns playing music. Its built-in 3000mAh rechargeable li-ion battery supports up to 12 hours of playtime with a single charge. Its compact size allows it to be carried around. The sound performance of the JBL Flip 4 is incredibly loud and detailed, with crystal clear highs, detailed midranges and good bass performance. 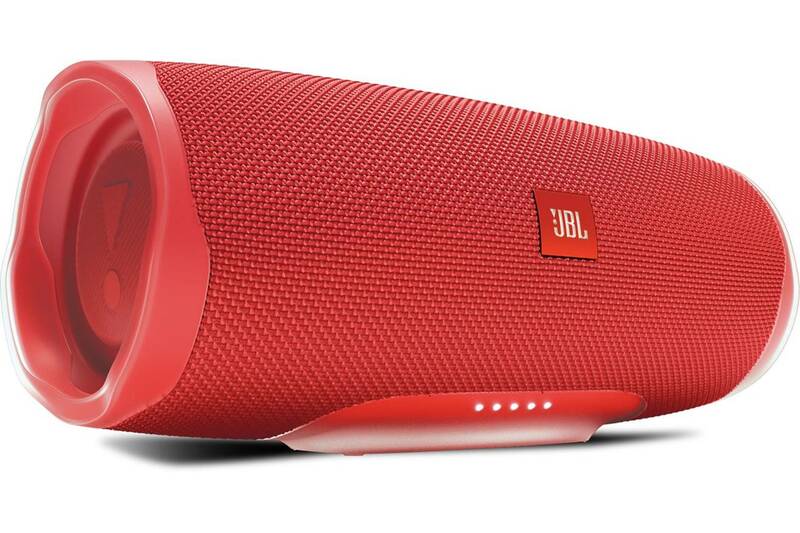 The bass hits hard and feels tight and punchy, adding plenty of weight to music performances. If you enjoy listening to rock, pop or EDM, the JBL Flip 4 will definitely impress with its vibrant sound quality. 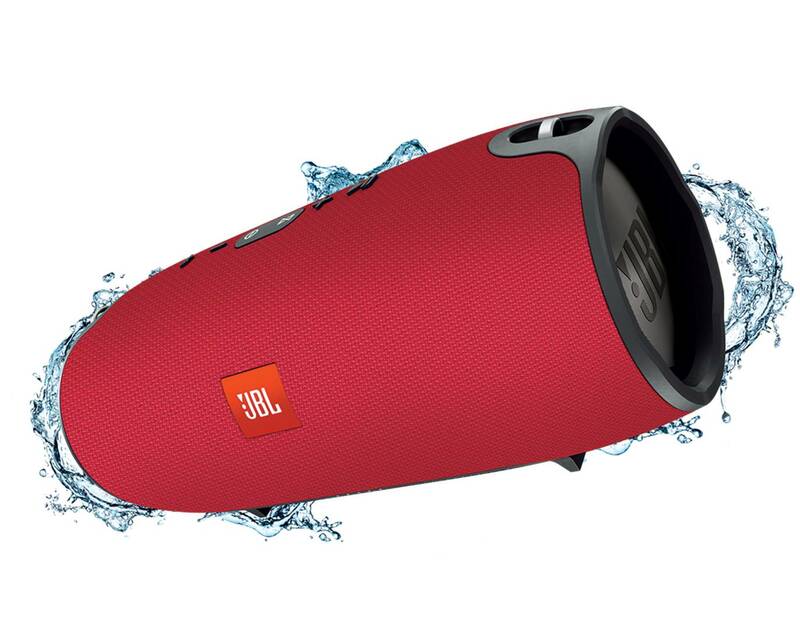 The JBL Flip 4 is also IPX7 waterproof which protects it from rain or spills and you can even submerge it in water. It features JBL connect+ technology which allows you to link more than 100 JBL connect+ enabled speakers together to amplify the volume and fill bigger spaces. It also features a built-in noise and echo cancelling speakerphone for crystal clear calls and with a button press you can activate and talk to Siri or Google Now. It comes in 6 different vibrant colors and demonstrates sturdy build quality, ensuring durability under most circumstances. Overall, the JBL Flip 4 delivers premium sound quality that enhances the low end and can be enjoyed wherever you go. The JBL Charge 4 is a portable waterproof wireless Bluetooth speaker that can deliver loud and crystal clear sound. The speaker features a proprietary developed driver and two JBL bass radiators that intensify sound with strong deep bass. The sound performance is crisp and the speaker delivers adequate volume output for most occasions. You can wirelessly connect up to 2 smartphones or tablets to the speaker that can play music in turns. Its built-in rechargeable Li-ion 7800mAH battery supports up to 20 hours of continuous playtime while the built-in powerbank can simultaneously charge your device via USB port. The sound performance of the JBL Charge 4 is exceptionally good, with very good volume levels and crystal clear tonal clarity. The highs and midranges are crystal clear, and you can play virtually every music genre on the Charge 4 without any issues. The speaker has great soundstage, detailed sound reproduction and deep bass response. The JBL Charge 4 has an IPX7 waterproof design that allows you to take Charge 4 to the beach or the pool without worrying about spills or even submersion in water. You can also amplify your listening experience by wirelessly connecting more than 100 JBL Connect+ enabled speakers. The JBL Charge 4 features sleek and modern looking design/ The durable fabric material and the rugged rubber housing of the speaker ensure sturdy build quality and durability. The package does not include a USB wall adapter. Overall, the JBL Charge 4 is a portable speaker with impressive sound quality and it also comes in a range of colors to choose from. The JBL Charge 3 is a waterproof portable speaker with Bluetooth connectivity that delivers crystal clear and loud sound performance. Its dual external passive radiators are dedicated in reproducing the low end frequencies, delivering thumping bass. It is possible to connect it wirelessly to up to 3 smartphones or tablets that can take turns playing stereo sound. It comes with a 22.2Wh Lithium-ion Polymer battery that allows for 20 hours of continuous playtime (that varies by volume level and content). The battery can also charge smartphones and tablets via the featured USB port. The sound performance of the JBL Charge 3 is excellent, with crisp highs, detailed midranges and stunning bass performance. Rock and electronic dance music genres sounded exceptionally crisp and clear, and were very enjoyable to listen to. The volume levels are excellent, and the speaker has enough power to fill up a large room or outdoor environment with filling sound without any distortion. The speaker has IPX7 waterproof exterior that protects it from rain or spills, allowing you to take the speaker wherever you want. The fabric material and rubber housing ensure sturdy build quality as well as durability. You can also take crystal clear calls from this speaker with the touch of a button thanks to the noise and echo-cancelling speakerphone. It also features voice assistance integration that allows you to access Siri or Google Now with a button press. In order to amplify the listening experience and fill bigger spaces you can build your own sound system by connecting multiple JBL Connect enabled speakers together. The JBL Pulse 3 is a wireless waterproof speaker that combines 360° sound with 360° light show. It features Bluetooth connectivity that makes it easy to pair with your smartphone, tablet or any other Bluetooth enabled device. It comes with a built–in rechargeable battery that delivers up to 12 hours of playtime and an IPX7 waterproof housing that protects it from rain or spills and allows you to even submerge in water. The speaker features glowing LEDs and you can customize them in order to create a 360° light show. 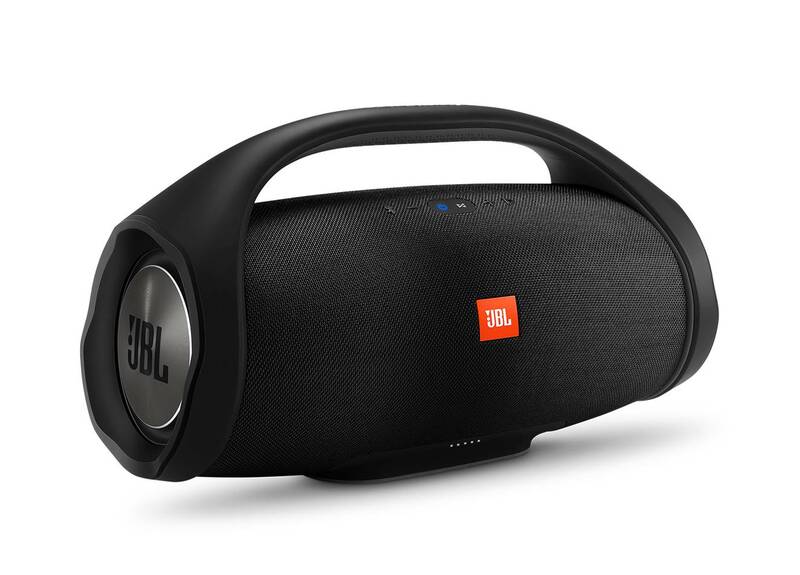 The sound performance of the JBL Pulse 3 is very good, and has enough volume for outdoor parties and gatherings. The sound quality is crisp and clear, while vocals sounded clean and sharp. We did not hear any harshness or distortion from the speaker at high volume levels; everything remains consistent and clean. The lightshow also changes according to the sound performance of the speaker which is a really good aspect that we liked. In addition to that, you can take calls from your speaker with a touch of a button with the noise and echo cancelling speakerphone. Featuring JBL Connect+ technology, you can wirelessly link more than 100 JBL Connect+ enabled speakers to amplify the sound volume. Moreover, you can shake the Pulse 3 to create a synchronized light show with other Pulse 3 devices. 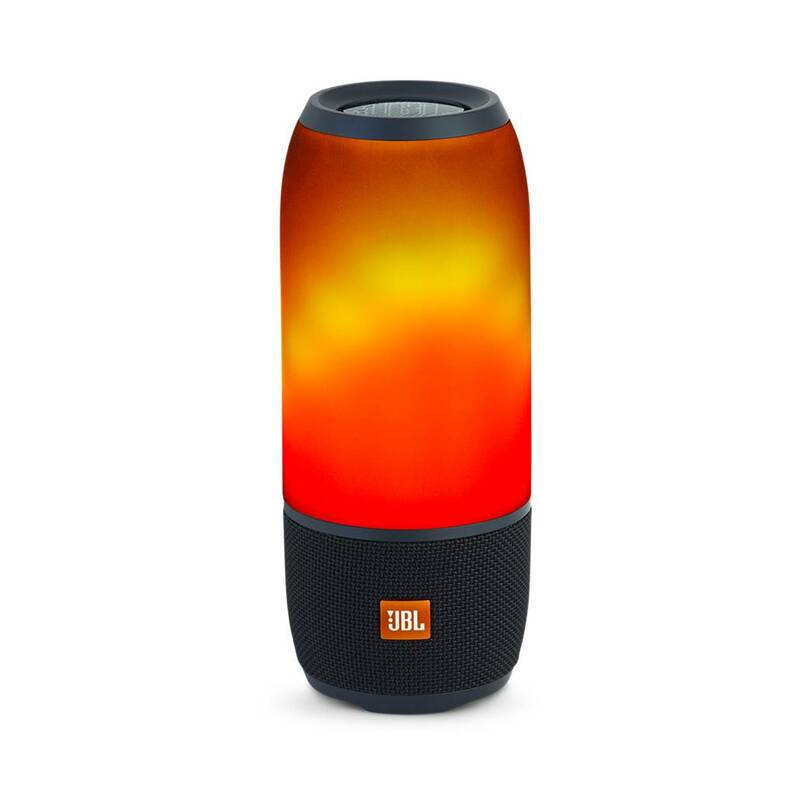 It is possible to customize the light sequences and easily adjust the settings with the JBL Connect app. On the whole, the JBL Pulse 3 is a portable wireless speaker that can enhance your listening experience both with 360° sound performance and with a customizable 360° light show. The JBL Clip 3 is a portable waterproof wireless Bluetooth speaker that has been designed with portability in mind. It features an upgraded durable and fully integrated carabiner that protects the speaker from damage and can clip to your clothes, belt loop or backpack, in order to carry it everywhere with ease. The clip 3 is IPX7 waterproof and thus protected from rain, spills and you can even immerse it in water. It is powered by a 1000mAh rechargeable li-ion battery, allowing you to enjoy up to 10 hours of continuous playtime. It has more than adequate volume output despite its compact design and relatively small size. The sound quality from the JBL Clip 3 is surprisingly clear and loud – it has enough volume for small parties and gatherings and the sound does not distort at maximum power. Vocal performances and movie performances sounded rich and clear, and we thoroughly enjoyed listening to the Clip 3 speaker. The JBL Clip 3 comes with a built-in noise and echo-cancelling speakerphone which gives you crystal clear calls with the press of a button. It also features wireless Bluetooth streaming provides you with high-quality sound from your smartphone or tablet. We liked the integrated carabiner that comes with Clip 3 which allows you to easily attach it to backpacks on the go. The improved, durable fabric material along with its rugged rubber housing protects the speaker and ensures sturdy build quality and durability. 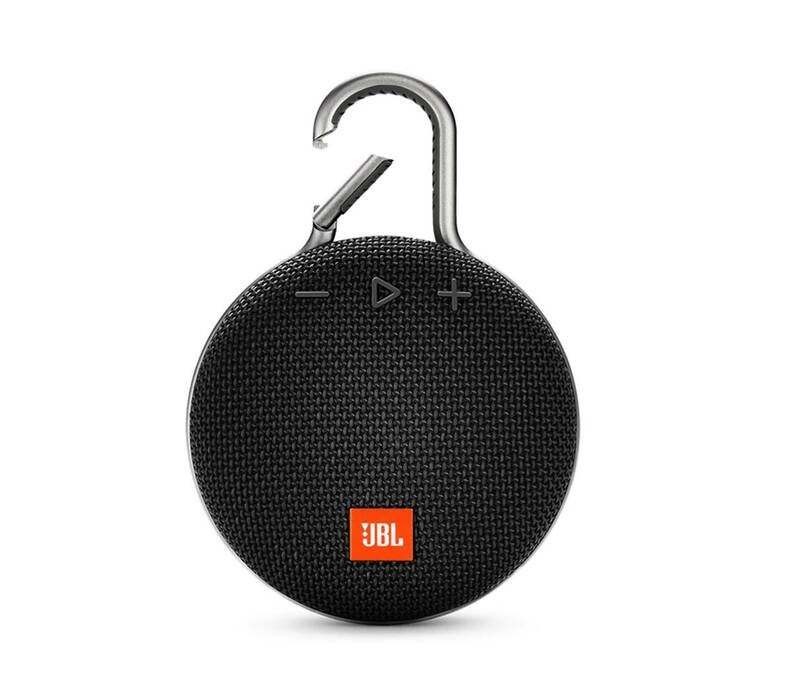 On the whole, the JBL Clip 3 is a durable, waterproof and sturdy compact speaker that you can clip to your belt, backpack or clothes and enjoy your music in high audio quality everywhere you go. 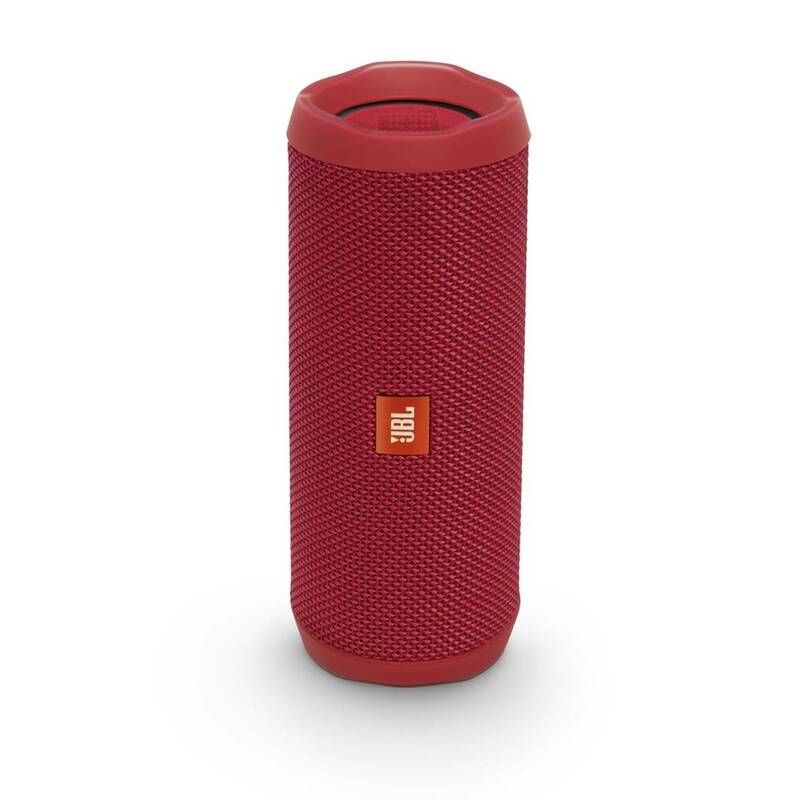 The JBL Xtreme is a portable wireless Bluetooth stereo speaker that delivers premium quality sound. It features dual external passive radiators that enhance the low end and allow you to see the bass. Its built-in 10,000mAh rechargeable li-ion battery supports up to 15 hours of playtime and can simultaneously charge your devices via dual USB ports. The JBL Xtreme also features a speakerphone with noise and echo cancelling technology that allows you to take noise-free calls from the speaker. It is possible to connect wirelessly up to three smartphones or tablets to the speaker and take turns playing stereo sound. It is easy to operate and to reset the unit you just hold onto the power button and Bluetooth at the same time. It has a sleek and modern looking design and it is available in black, blue or red color. 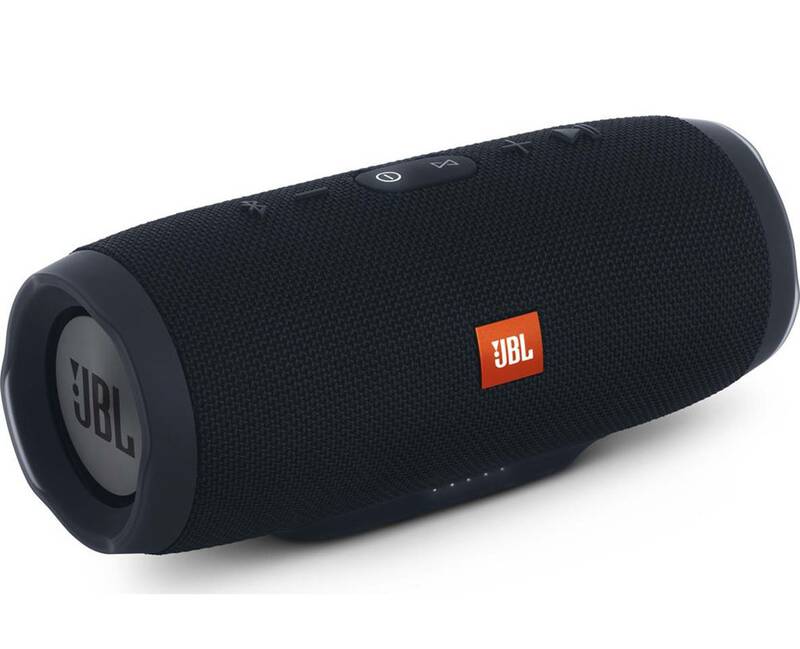 The sound quality on the JBL Xtreme is incredibly detailed and crisp, with very good vocal response and sound performance at high volume levels. It’s the ultimate speaker to bring with you outdoors or for party gatherings. The JBL Xtreme comes with a splashproof design protects it from rain or spills, allowing you to carry it everywhere. It is also possible to wirelessly link multiple JBL connect Enabled speakers together to amplify the listening experience and fill bigger spaces with sound. Overall, the JBL Xtreme is a high-quality portable speaker that is highly recommended for everyday use wherever you go. The JBL Flip 3 is a splashproof portable Bluetooth speaker that delivers powerful, room-filling stereo sound. It features dual external passive radiators that enhance the low end and provide with bass heavy sound. The durable fabric material and rugged rubber housing ensure both robust build quality and durability. It features splashproof technology that protects it from rain or spills (it is not suitable for submerging in water). The sound performance of the JBL Flip 3 exceeded our expectations – it delivers crisp sound performance with well-balanced treble and midranges. The bass response is tight and punchy, and adds a layer of depth to music performances. Music genres such as electronic dance music, rock and pop sounded very punchy and vibrant, and we thoroughly enjoyed listening to the Flip 3 speaker. The JBL Flip 3 is powered by a 3000 mAH rechargeable li-ion battery that offers up to 10 hours of continuous playtime with a single charge. You can link wirelessly up to three devices simultaneously that can take turns to stream music. Its design is sleek and modern looking and it comes in eight vibrant colors. It also features a built-in noise and echo cancelling speakerphone that allows you to take crystal clear conference calls from your speaker. 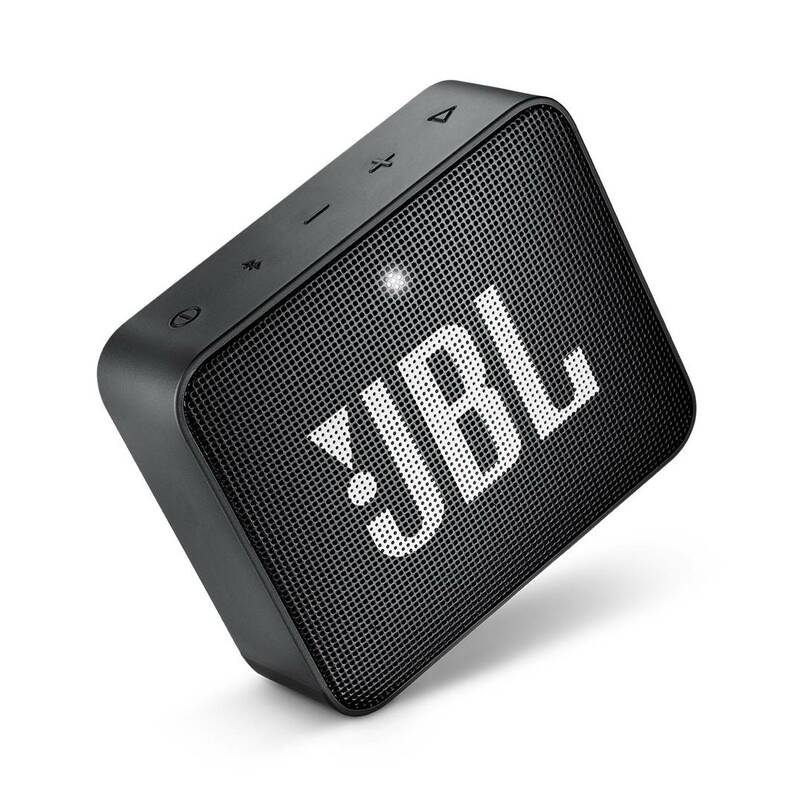 The JBL connect technology can wirelessly link multiple JBL connect-enabled speakers together to amplify the listening experience and fill bigger spaces with sound. Overall, the JBL Flip 3 is a portable wireless speaker that can work in all weather conditions and can be carried everywhere with you, allowing you to enjoy bass heavy music everywhere you go. The JBL Boombox is a portable Bluetooth waterproof speaker that delivers powerful and clear sound with heavy bass. It incorporates four active transducers and two JBL bass radiators that provide loud and hard hitting bass that you can also see. The JBL Boombox is an extremely powerful speaker that can deliver tonnes of volume and bass – it is great for large outdoor gatherings and parties where you need to blast music. The sound quality that we got from the JBL Boombox is full-range with deep lows and vibrant midrange tones. It is both suitable for indoors and outdoors as it features two different modes: the indoor mode has deeper bass and richer sound while the outdoor mode has expansive sound with strong bass and longer playtime. Its high capacity 20,000mAh rechargeable battery supports up to 24 hours of continuous playtime while charging simultaneously your device via the USB port. You can connect up to 2 smartphones or tablets to the speaker and take turns playing music. The JBL Boombox has IPX7 waterproof certification that allows it to be taken to the beach or pool without worrying about rain, spills or submersion in water. Its materials ensure both robust build quality and durability, allowing it to be used on every occasion. You can also amplify your listening experience and rock the party by wirelessly connecting more than 100 JBL Connect+ enabled speakers. The JBL GO 2 is a portable Bluetooth waterproof speaker that delivers premium quality sound performance. Its main characteristic is that it features lightweight and compact design that allows it to be carried everywhere. In spite of its size, it provides crystal clear sound with decent bass performance and adequate volume output. Its rechargeable lithium-ion polymer battery allows for up to 5 hours of playback with a single charge. 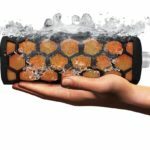 It has waterproof IPX7 rating which makes it water resistant in up to 3.3’ of water, making it suitable for use in the bathroom or the pool, as you can even submerge it into the water. The sound quality of the JBL GO 2 speaker is reasonably crisp and clear, and we thoroughly enjoyed listening to the sound performance on this speaker. Vocal performances are clean, and the speaker has decent amount of bass despite its small size. It’s a speaker that you can take almost anywhere with you due to its small and compact size. The JBL GO 2 can also double as a speakerphone and it features noise cancelling technology for crystal clear calls. 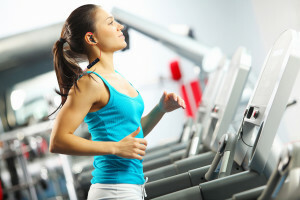 You can use Bluetooth to stream audio wirelessly from up to 33’ away or use the 3.5mm input for wired device connection. Its design is sleek and modern looking while its materials ensure durability and sturdy build quality. 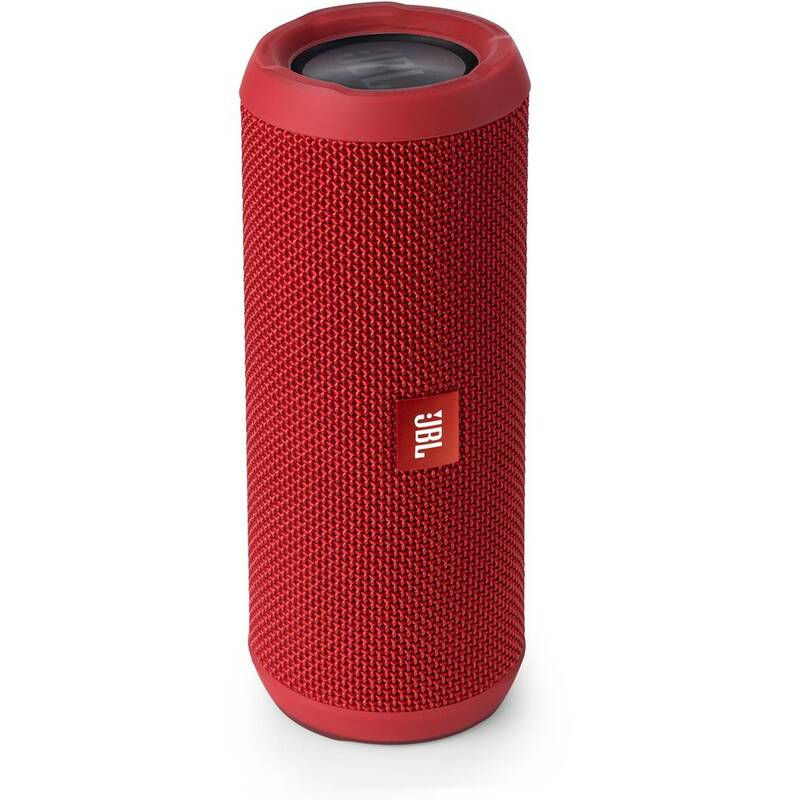 On the whole, the JBL GO 2 is a very portable speaker that delivers impressive sound performance for its size and can be used everywhere thanks to its compact size and waterproof exterior. 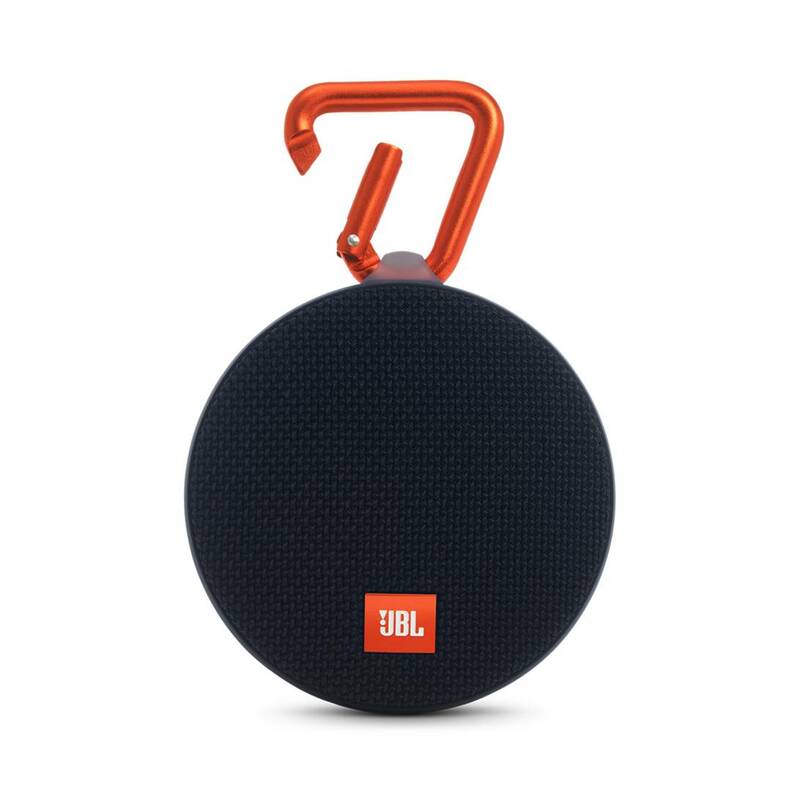 The JBL Clip 2 is a lightweight, rugged and powerful portable wireless speaker with Bluetooth connectivity. It has IPX7 waterproof rating, which means that it is protected from rain, spills and you can even immerse it in water, allowing you to use it everywhere. The JBL Clip 2 provides 8 hours of continuous playtime with a single charge, allowing you to take your music wherever you go. You can stream music wirelessly via Bluetooth, or plug it into any smartphone or tablet with its attached audio cable. You can also wirelessly connect two Clip 2 speakers together to enjoy amplified sound. The JBL Clip 2 features a speakerphone to make clear, noise and echo free phone calls. It is covered with durable waterproof fabric that ensures robust build quality and durability. 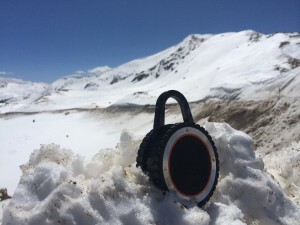 Its most unique feature is its upgraded carabineer that can clip to your clothes, belt or backpack allowing you to carry the speaker wherever you go. Its sound performance is impressively loud for its size and you won’t be disappointed by its volume output. It is extremely easy to use, having buttons that allow you to customize the volume (up/down), call/play/pause, activate Bluetooth and power on and off.